As mentioned in my previous post, I am currently developing a series of brief articles on the many underappreciated features of Microsoft SQL Server as received from the community as a response to Andy Warren’s SQLServerCentral.com’s editorial (http://www.sqlservercentral.com/articles/Editorial/71788/), which was published on December 17, 2010. We will start this journey by looking a few of the features that came out with the SQL Server Management Studio 2008. After login, the first feature that almost everyone sees and uses is the Object Explorer, but very few use the Object Explorer Details window. This continued through Microsoft SQL Server 2000, but with the redesign in Microsoft SQL Server 2005, the Object Explorer lost it’s charm a bit. The Object Explorer and the Object Explorer details window were almost the same and there was no real point to using the Object Explorer Details window. 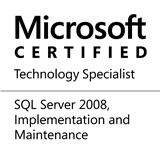 All this changed in Microsoft SQL Server 2008. The Object Explorer Details window is useful once again and here’s how. You can now drill down all the way to the tables and index details. For more fun, try using the Object Explorer to navigate through the database schema, and notice how the Object Explorer Details window stays synchronized with your movements! As you can see, the Object Explorer in Microsoft SQL Server 2008 is a fully loaded, action-packed feature, very useful for developers, quality assurance engineers and administrators alike. I hope that you will immediately launch your SQL Server Management Studio instance and start playing around with the Object Explorer details window. In the next part, I will be demonstrating how to search for objects using the Object Explorer details – a feature that was never available before Microsoft SQL Server 2008. This entry was posted in #SQLServer, Blog, Imported from BeyondRelational and tagged #SQLServer on January 11, 2011 by nakulvachhrajani. The name Object Explorer Details itself suggests that Details about the Object Explorer.